Arizona State University professor Nikhilesh Chawla has been selected to receive one of the leading awards in his field. TMS – The Minerals, Metals and Materials Society – will honor him as a Brimacombe Medalist for his achievements in materials science and engineering. His research interests encompass the mechanical behavior and modeling of advanced materials at bulk and small-length scales, including four-dimensional materials science, lead-free solder alloys, composite materials and nanostructured materials. He and his father co-authored the textbook Metal Matrix Composites. His accomplishments include winning awards from the National Science Foundation and the Office of Naval Research that recognize engineers and scientists who demonstrate leadership in their areas of research early in their careers. He also won an award from ASM International – another prominent materials society – that recognizes outstanding teaching. Chawla is editor of the Materials Science and Engineering journal and serves on the editorial boards of other leading journals in the field. The TMS award is named for Keith Brimacombe, a pioneer in the materials field. Chawla’s work exemplifies the level of excellence set by Brimicombe, says Eric Taleff, who nominated Chawla for the award. 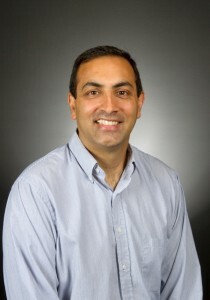 Taleff is a materials and mechanical engineering professor at the University of Texas at Austin and is currently serving as a National Science Foundation program manager. Chawla “is recognized worldwide as an expert in three primary technical areas, metal-matrix composites, lead-free solders and three-dimensional microstructure characterization. His long list of published work on these topics and others attest to his sustained technical accomplishment,” Taleff wrote in his nomination letter. Taleff also cites Chawla’s extensive service to the field through leadership positions in TMS. Chawla will be presented the TMS award at the organization’s international conference in San Antonio in March.